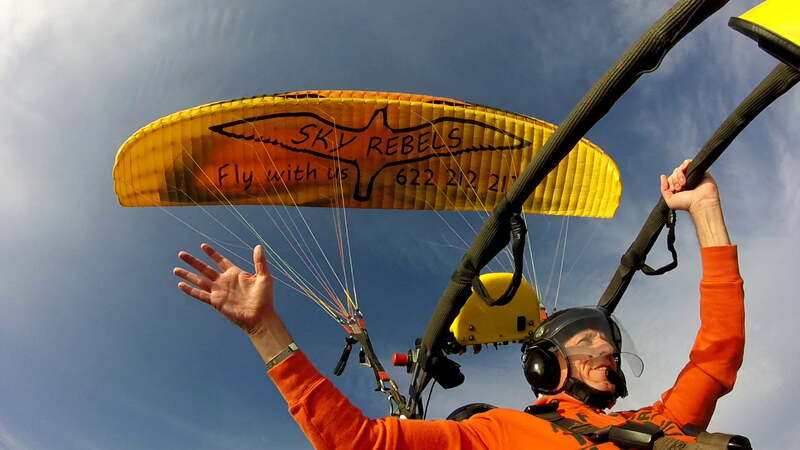 We are the pioneer company in Gran Canaria in offering paratrike – paramotor – powered paraglider tandem flights. We started to forge this dream at the beginning of 2012 and a year later we managed to make it come true. Our goal is to make you live an unforgettable powered paragliding – paramotor – paratrike experience in the unique environment that Maspalomas offer. We are the only company that offers this type of activity with all legal guarantees. The practice of extreme sports requires compliance with basic safety requirements, which is our priority. That is why we strive to have all the material (trike, paraglider, safety equipment and communications, etc) in perfect conditions. In addition, we have all the required insurance (accidents and civil liability), as well as all the necessary permits (AESA, Government of the Canary Islands). With all this we managed to make our paratrike – paramotor flight experience a unique and safe activity. Our flight manager is an experienced pilot with more than 5,000 flight hours and 23 years of experience, ATPL (Airline Transport Pilot License) and FI (Flight Instructor) qualifications, both VFR (Visual Flight Rules) and IFR (Instrumental Flight Rules). , CRI (Class Rate Instructor) rating for multi-engine aircraft and FI FI rating (Instructor Instructors). Why do we create Sky Rebels? From the first moment we started thinking about this company, our main objective was to offer personalized experiences to our clients. With our extensive background of more than 15 years dedicated to the world of tourism we realized that the most important thing is the client. We want people who come to try one of our activities (flights with motorized paragliding or any of our excursions) to live it in a personal way and not feel like another number. We adapt to the requirements of our clients. 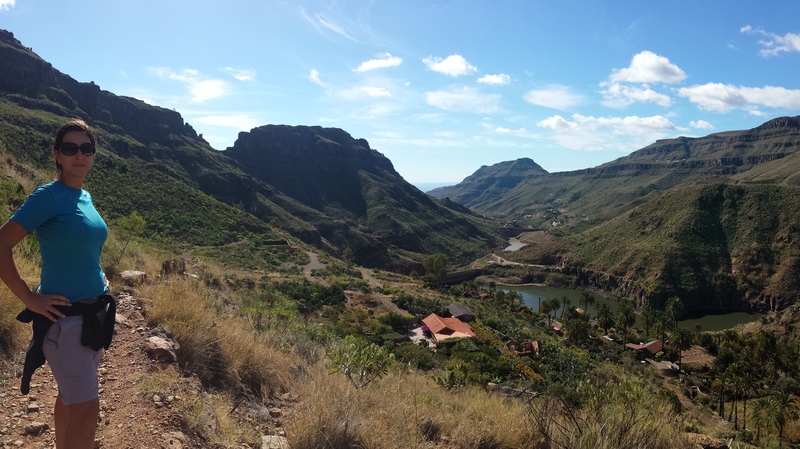 For this reason we are considered one of the best activities not only in Maspalomas but also in Gran Canaria. Our excursions follow high quality standards both in extreme sports (paratrike flight) and in private routes through the island. What we want is that, at the end of the day, not only have you had a great day, but you also become one of our friends. That’s why Sky Rebels is “More than flying.” We are waiting for you! My name is Juanjo, I was born in Gran Canaria. Since I can remember my obsession was to fly, and so, at age 20 I moved to the mainland to fulfill my dream, “FLYING”. At 21 years and I was a private pilot and at 22 got the commercial pilot license. In my free time I love to live and enjoy the pleasures offered by nature and enjoy any activity that is related to flight, writing, playing guitar, listening to music and enjoy all the time I can with the family. In my 23 years of experience in aviation I have flown all types of aircrafts, from the most basic to multiengine turboprop aircraft. Also I have held various jobs as a flight instructor, chief operating officer, chief instructor or chief basis for airline transport pilot’s school. With the experience I was still aware that, as larger aircraft flying and sophisticated, I walked away more and more of the feelings that I liked and I had fought year after year. One day I discovered the Paratrike and I knew instantly that I had with this device I was closer than ever to my dream: “FLYING”. The feeling was so extraordinary that I decided I had to share it with everyone, and that is why I encourage you to come and try with me, the more real experience I know to feel like a bird in the sky and feel in your own skin the wonderful feeling of being free..
My name is Inés, I was born in La Mancha but I’ve been living in the Canaries for more than 16 years. Although I studied Physics, my career has developed mainly in the world of Marketing and Sales, both in products for individuals and businesses of all sizes and condition. In my free time I like reading, writing, taking pictures, listening to music, swimming and diving in the open sea. And getting bored my friends trying to get them understand what is that quantum physics or Higgs boson. Until recently I thought I did not like flying, until I realized that what I didn’t like was riding in an airplane. That is not flying. Flying is feeling the wind in your face and being able to recreate in the spectacular scenery on the sky, without haste. Flying is being able do stunts like a swallow, swoop in like a seagull, climbing up and up and up like an eagle. So, one day, I decided to share that dream and that feeling with the rest of the world, start a new project and take on this new adventure. That’s why I’m here. My name is Gavioto and I’m not a machine, I’m a boy. I was designed specially to fly in the Canaries, with special customization and the best safety systems you can find actually. My name is Lupita and I am the latest addition to this team. I’m equipped with all kind of details, such as air conditioning and charging points for phones, cameras and mobile devices; so I will make your displacements as comfortable and pleasant as possible.